For my dinner with my block mates back in college, we decided to try Ili-likha (Ili-likha Artist Village). The place amazed me so much with all the pieces of art works installed in there. It's really appetizing to the eyes. The place will not just satisfy you gastronomical needs but will also gratify your over-all senses from the moment you entered the place until its corners. The walls, floors, and ceilings are just full of intricate details and unique set of designs. Another thing I love about the interiors is that most of the materials that I saw were recycled, truly innovative. As I have understood it, the place is somewhat also like an art gallery for Cordilleran artists spearheaded by Internationally-Awarded Artist Kidlat Tahimik. The food are equally diverse as the art works inside. Ili-likha is also composed of several cafe-restaurant kiosk inside offering green salads, pasta, authentic local delicacies and some wild berry and fruit drinks to satisfy your exotic taste. The prices were budget friendly as well and it would feed you at a price of around 100php (including drinks). 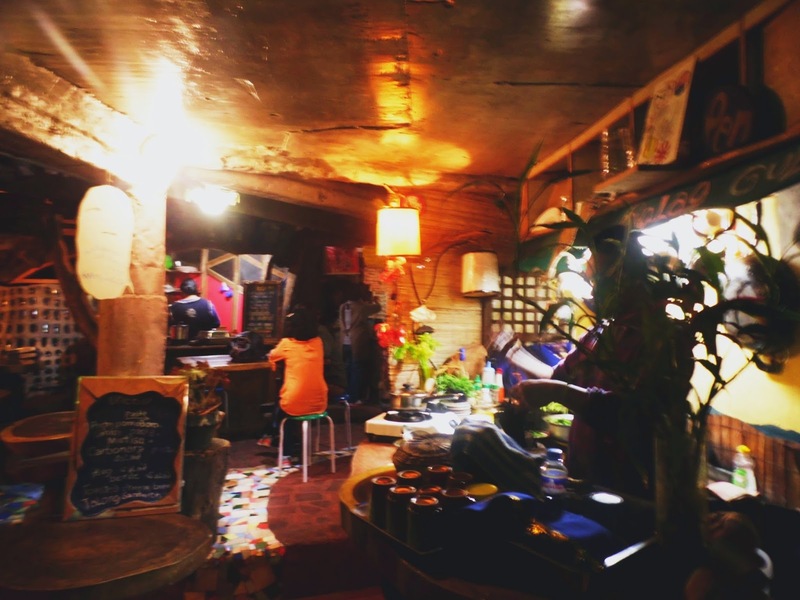 So the next time you visit Baguio, be sure to visit Ili-likha for a totally different dining experience.